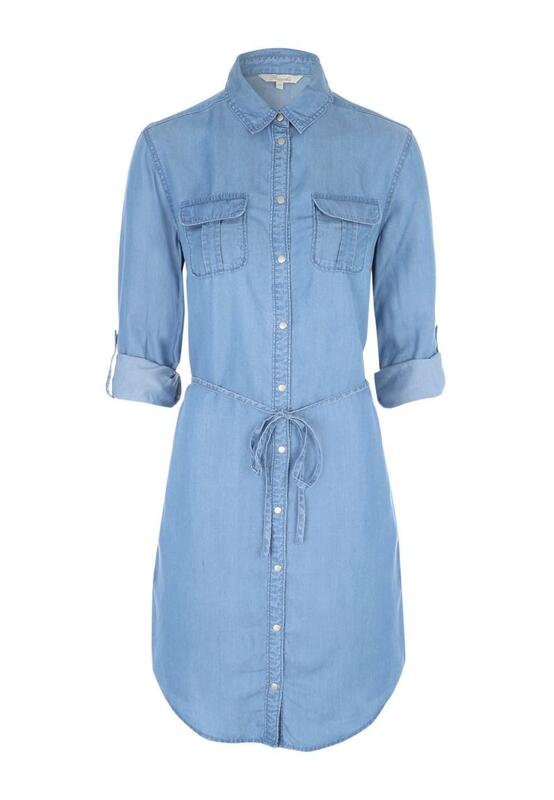 Our take on the classic denim shirt dress is a soft fabric denim look dress with popper fastenings, a belt, roll up sleeves and two pockets on the front. Wear with a pair of boots or pair up with casual high tops for a more laid back look. See previous review. Five more characters added to submit!